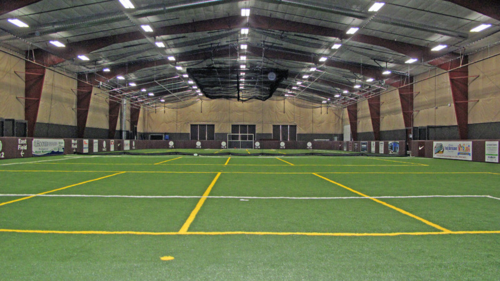 PELLA'S PREMIER INDOOR TURF FACILITY...PELLA FIELDHOUSE! The Pella Fieldhouse and Athletic Development Center is an indoor sports complex designed for athletic training, recreational sporting events and non-sports related events. The facility was built in 2014 and it offers a wide range of athletic services and opportunities for youth and adults on a 17,000 square foot synthetic grass turf field with adequate seating for spectator viewing.